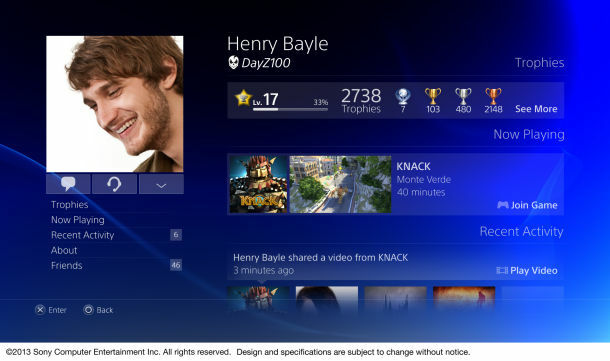 Sony recently held a pre-launch event for the Playstation 4 in New York and finally unveiled the PS4 UI to the public, properly. A lot of new information has since come out and we’ve compiled a handy cheat/tip sheet that tells you all the cool stuff and new features you can expect from the Playstation 4 user interface. We also have a few images too. Enjoy! You can login to your PS4 using facial recognition (and providing you have the PS Eye camera of course!). You need to be holding a controller when doing so and then move it when the PS4 tells you to (lining it up with the screen). 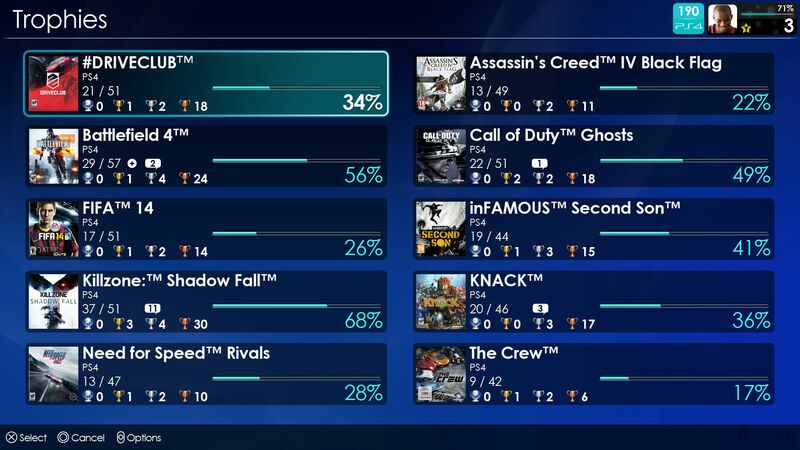 Trophies will have a “rarity” value assigned to them that is updated dynamically (types are common, rare, very rare, and ultra rare). You can use the motion sensors in the new DualShock 4 controller that comes with the PS4 to type on the on-screen keyboard. 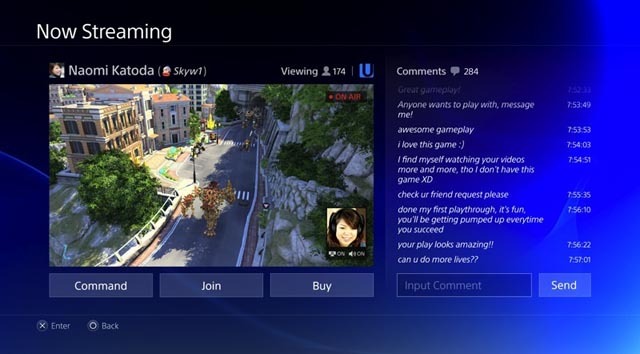 Messages can be sent to not only other PS4 users, but also PS3 and PS Vita users. 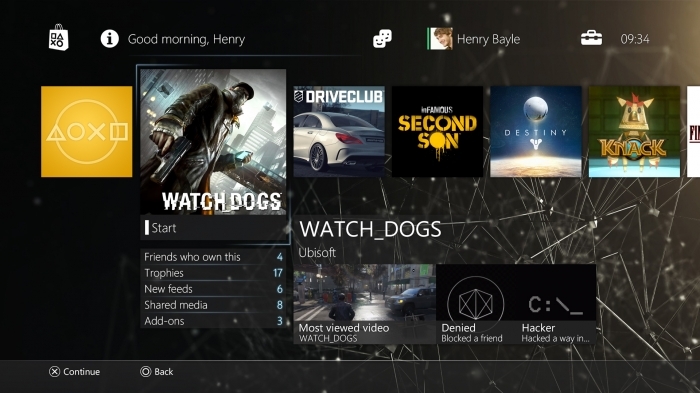 Plus you can add up to 15 seconds of voice to any message to a PS4 user and attach screenshots. There’s no time limit on streaming your gameplay. You can broadcast indefinitely! When sharing content from your PS4 you can define groups of contacts that it should only be shared to (for example, a select group of Facebook friends). When you’re using the PSN Store and have purchased a digital game, before you download it the system will ask if you’d like to start playing single or multi player first (for instance) and then start downloading files based on priority. This gets you up and running in the game mode you want more quickly. Your PS4 will be able to both upload and download data, and also recharge your controllers via USB, while in standby mode. Party chat works for up to eight people, including Vita users. A nice shortcut to the last app you used on the system is to simply double-tap the PS button.